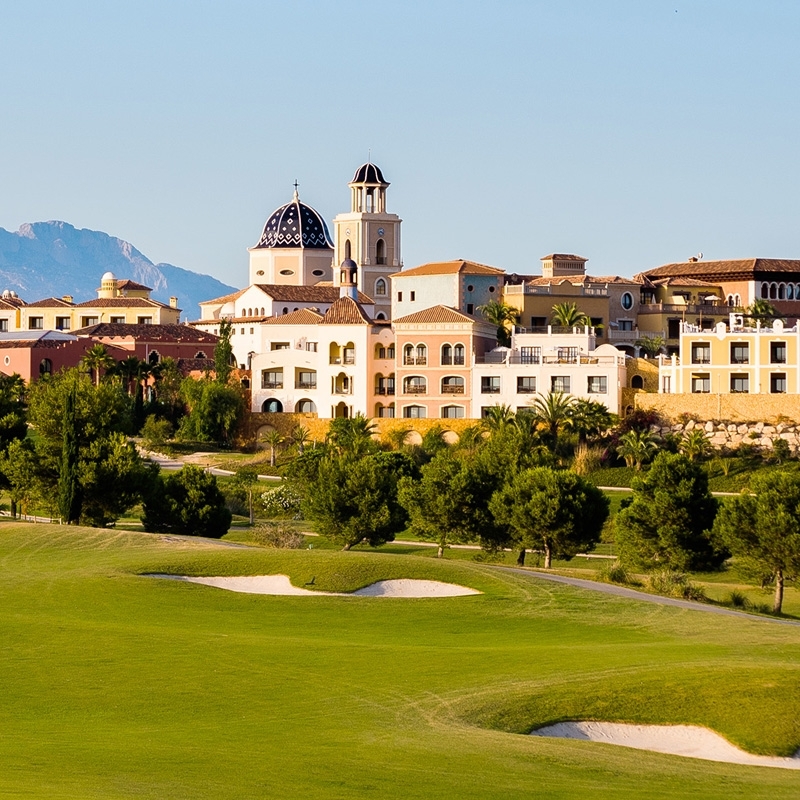 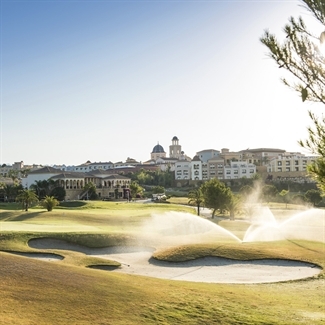 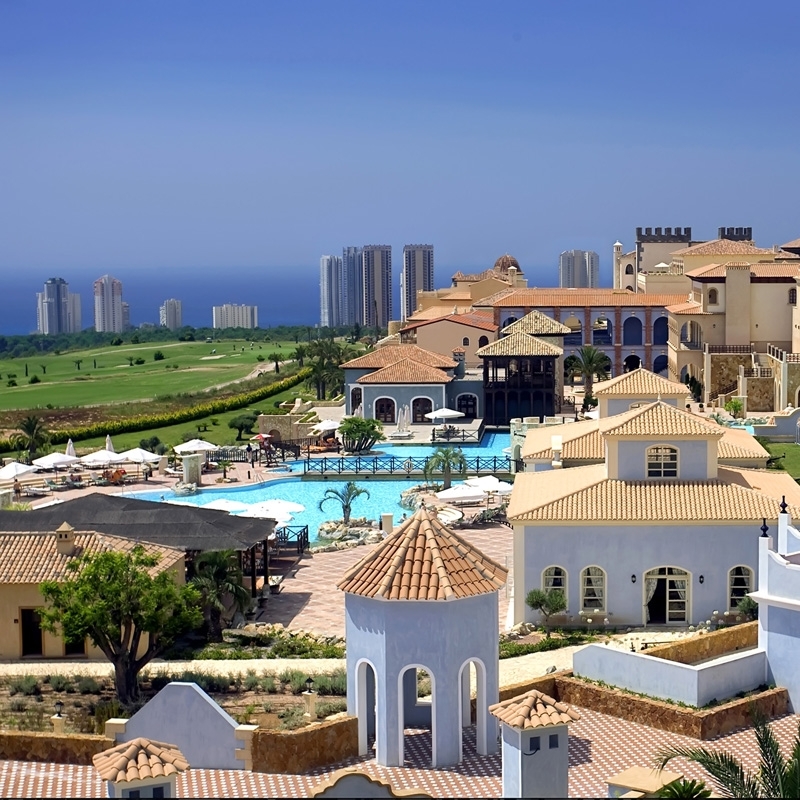 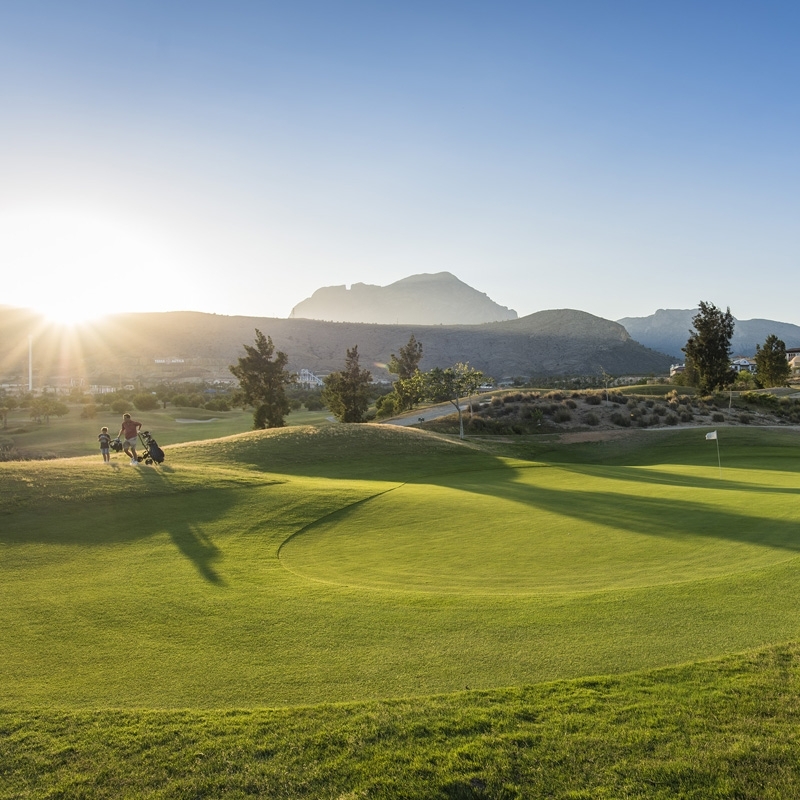 The Villaitana Golf Resort offers golfing holidays that are just right for families and golfing groups who are after a bit of fun and entertainment. Designed in the same style as the Gran Hotel Villaitana with picturesque squares, Medieval and Art Deco buildings and an old quarter, the calming tones of the decoration mixed with the simplicity of the traditional furnishings provide a pleasant contrast to the days activities. 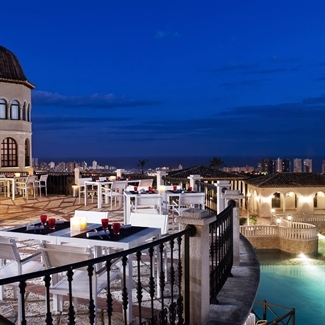 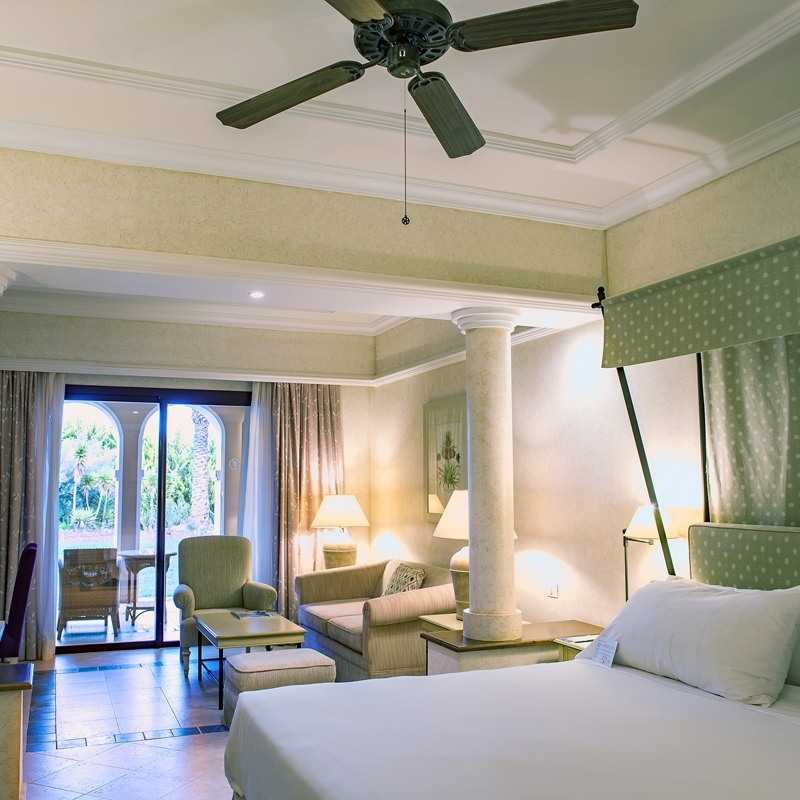 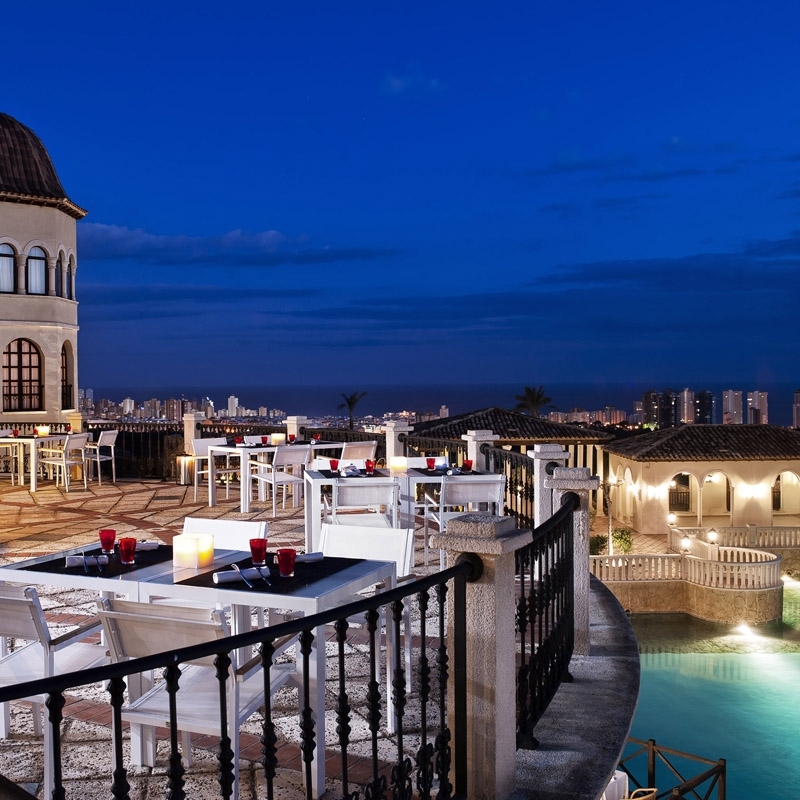 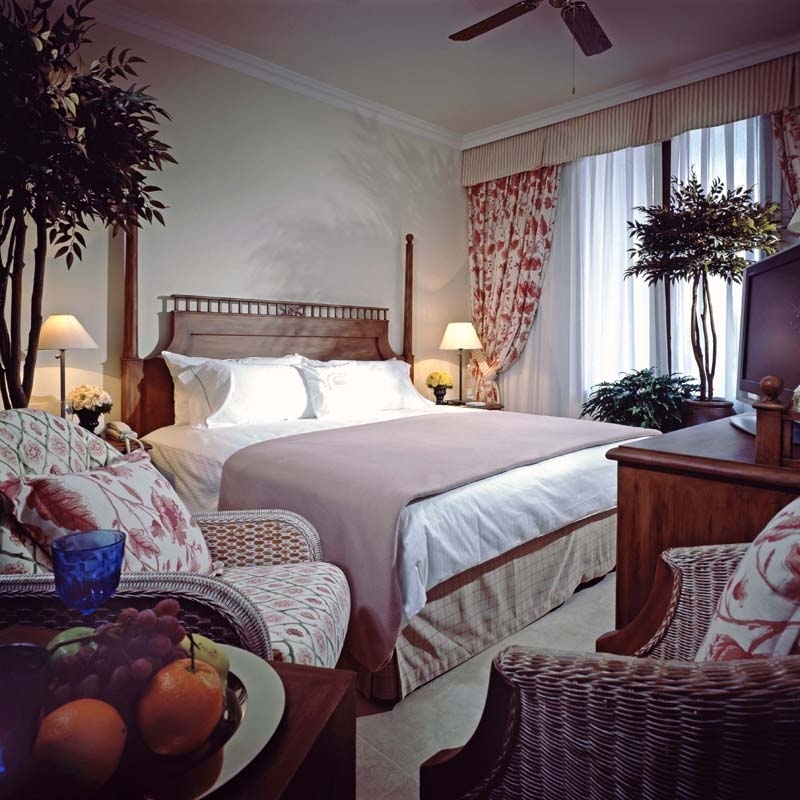 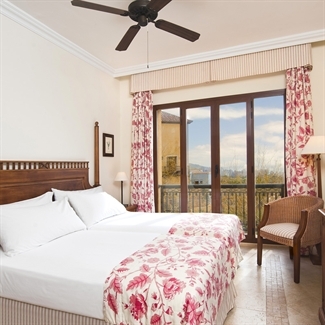 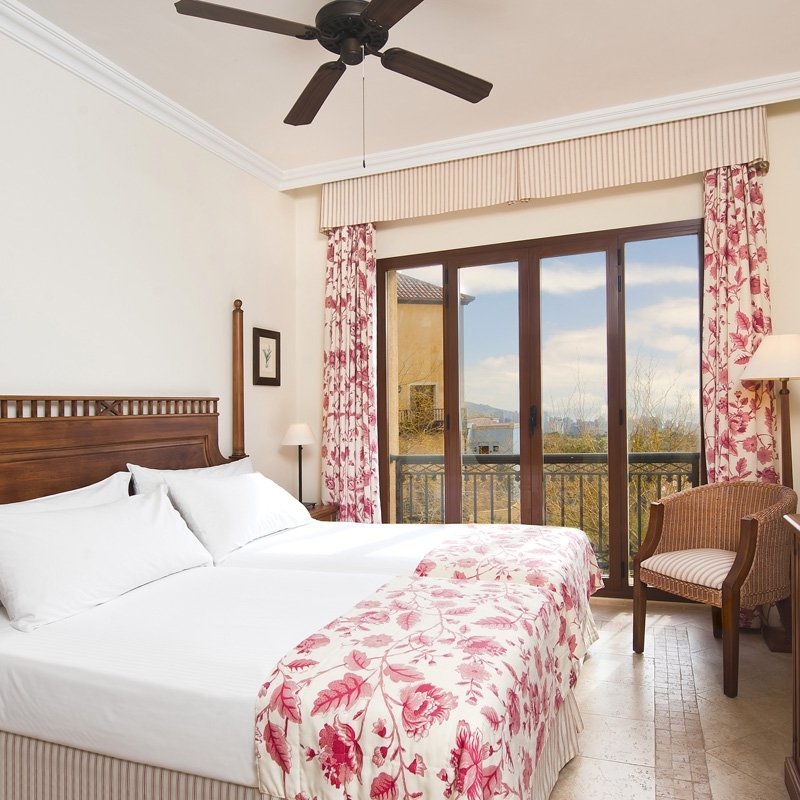 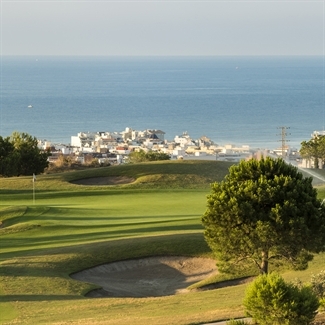 The views from all the rooms overlook the golf course or the Mediterranean. 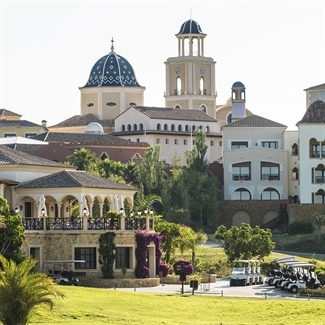 This Golf & Spa resort is situated in a stunning position, near the picturesque Finestrat mountains above Benidorm and overlooking the Mediterranean Sea. 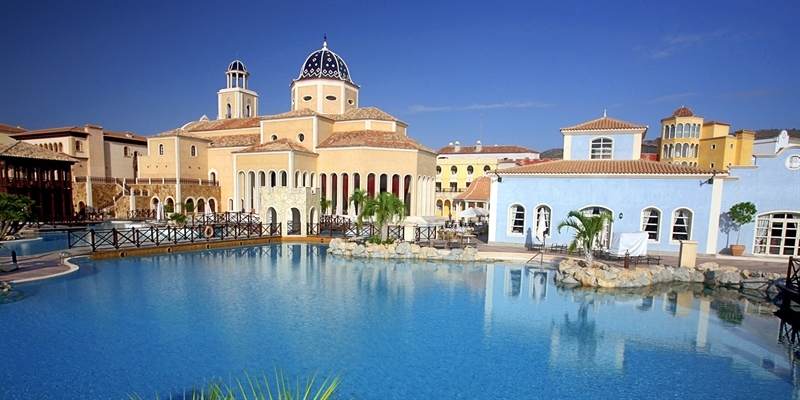 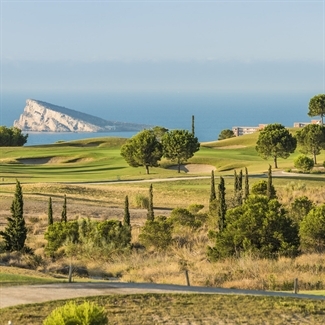 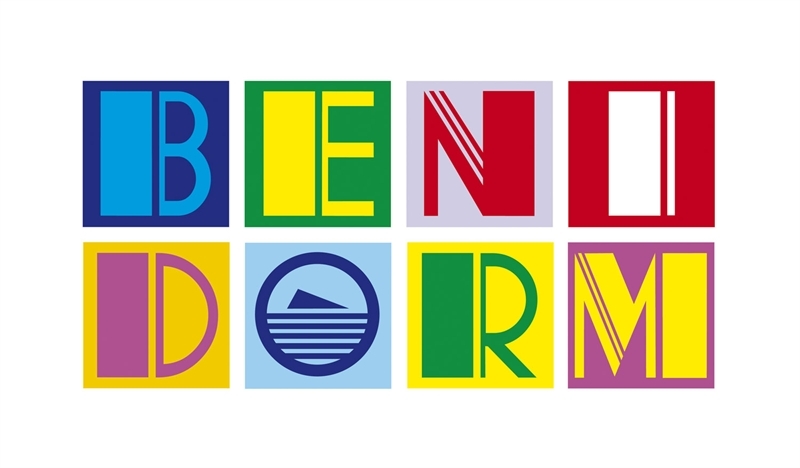 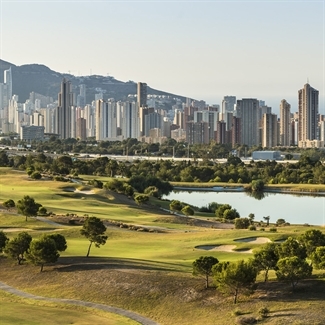 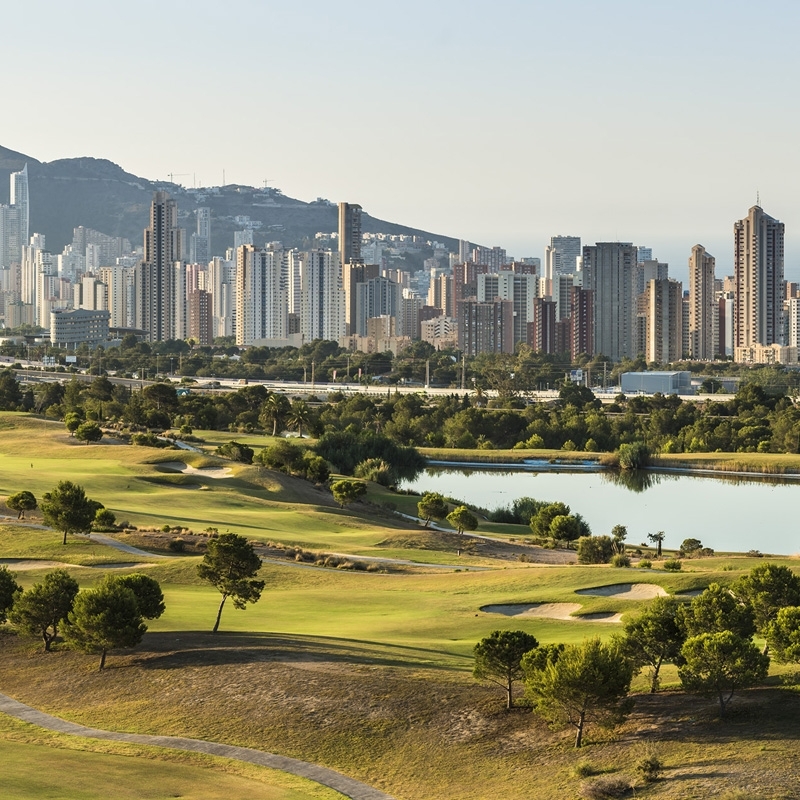 Close enough to Benidorm for a lively night out should you wish and yet far enough away to enjoy the luxury of peace and quiet, the resort benefits from two excellent hotels, two Jack Nicklaus designed 18 hole courses, a championship par 72 and an 18 hole par 62 executive course. 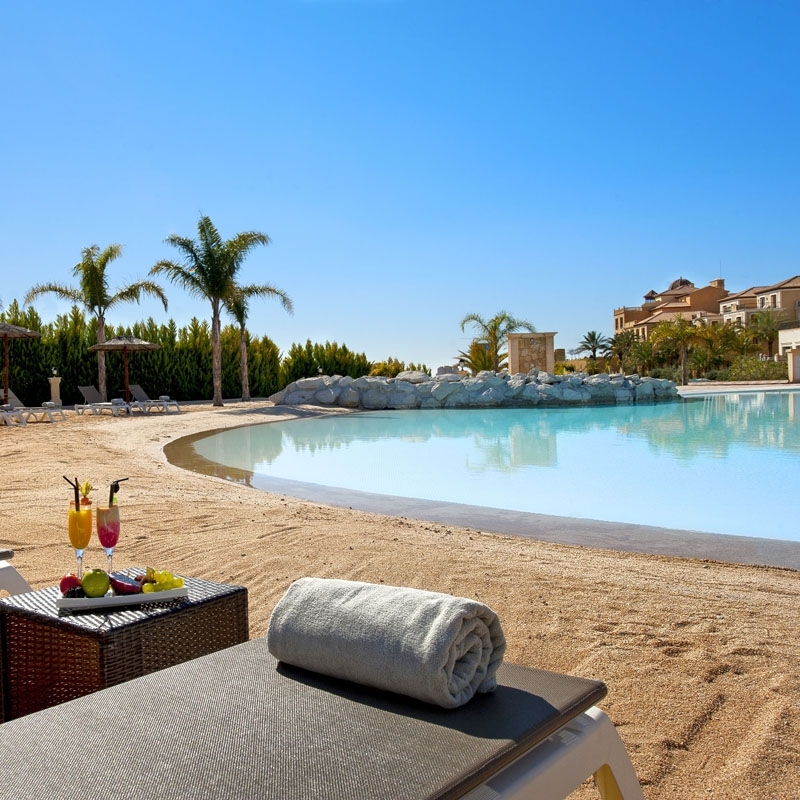 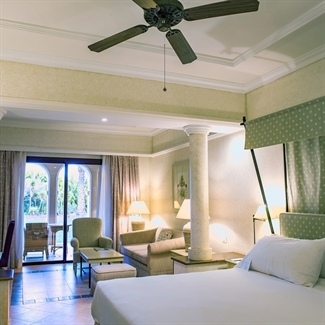 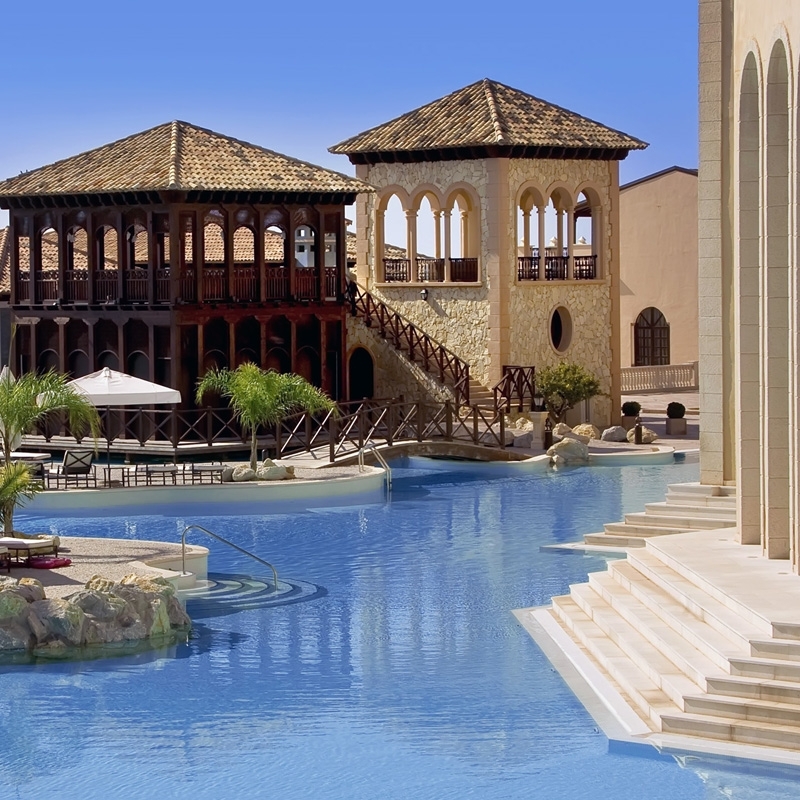 There is a wide selection of restaurants and bars within the two hotels, catering for different moods and tastes, and on top of all that, a superb Spa facility with a variety of treatments available. 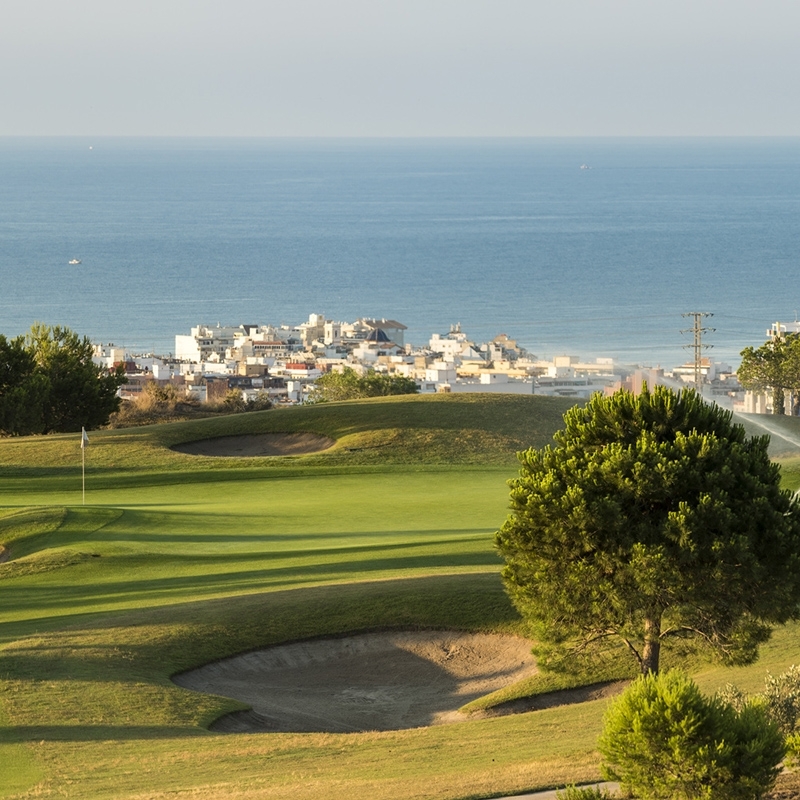 The Poniente course may be the shorter of the two at the Villaitana complex but it is certainly no push over. 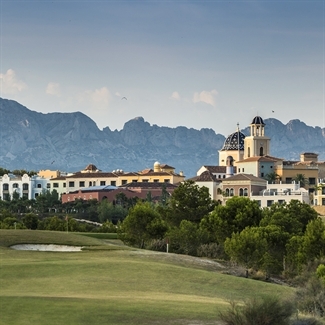 Despite being a fairly new addition to the area, this quality course is already attracting over 60,000 golfers per year. 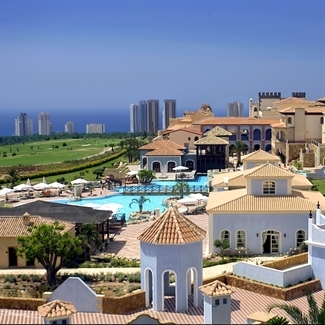 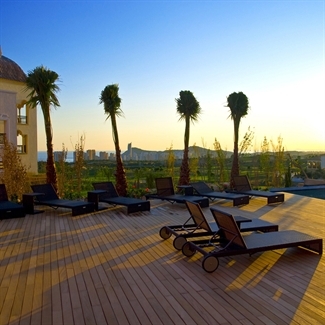 Located within a residential estate and close to the San Juan beach in Alicante. La Sella Golf is set in a protected environment, next to the Montgo Nature Reserve. 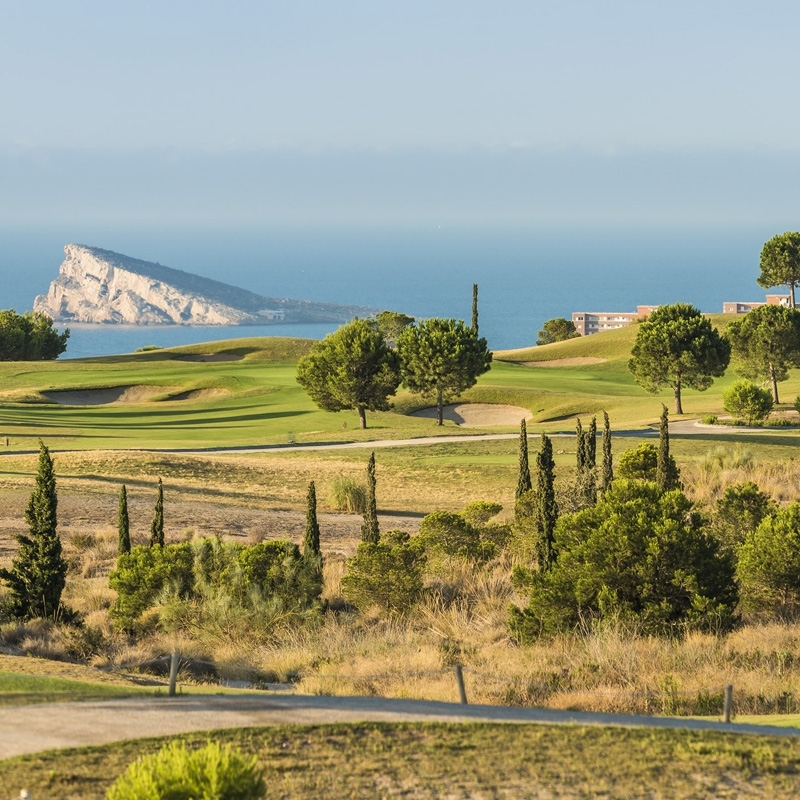 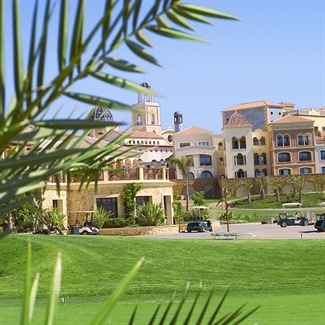 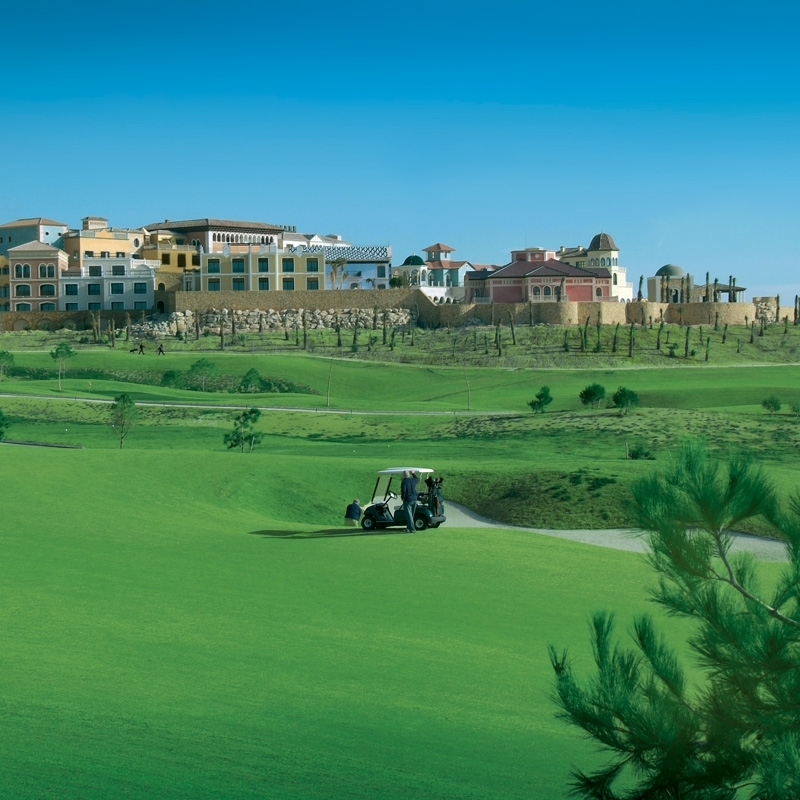 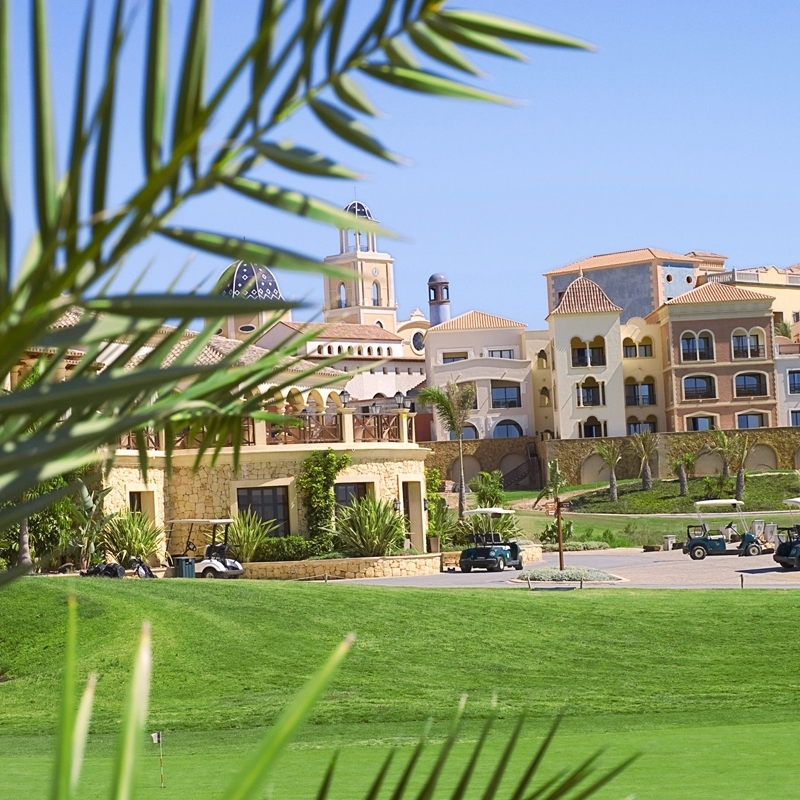 Oliva Nova was designed by Seve Ballesteros and is said to be his best course. 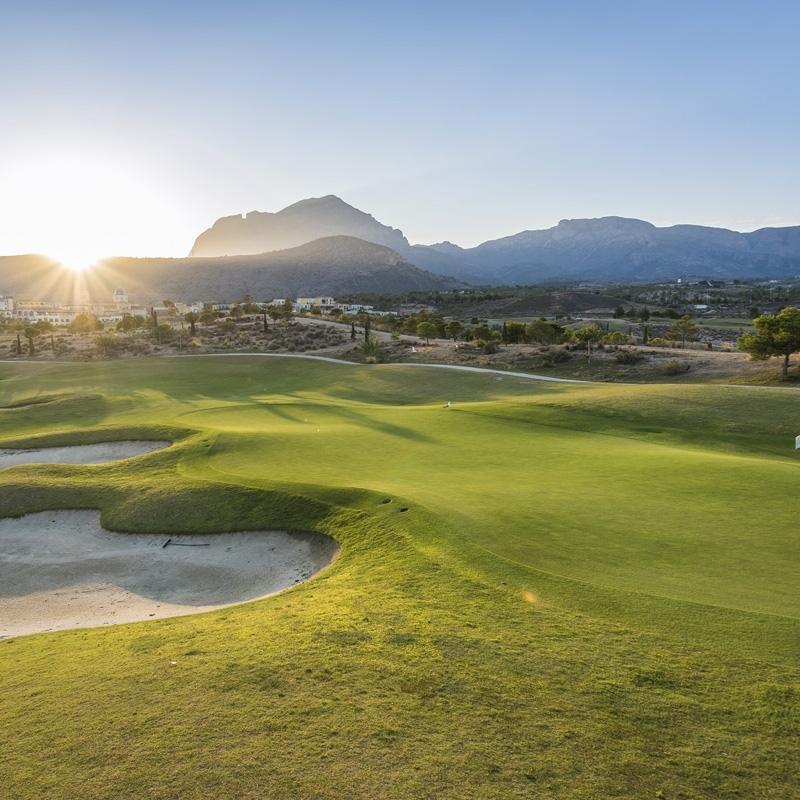 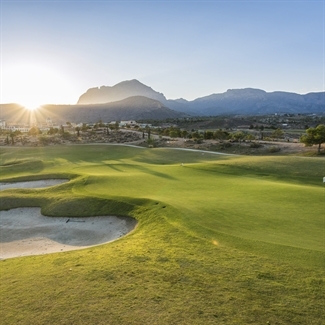 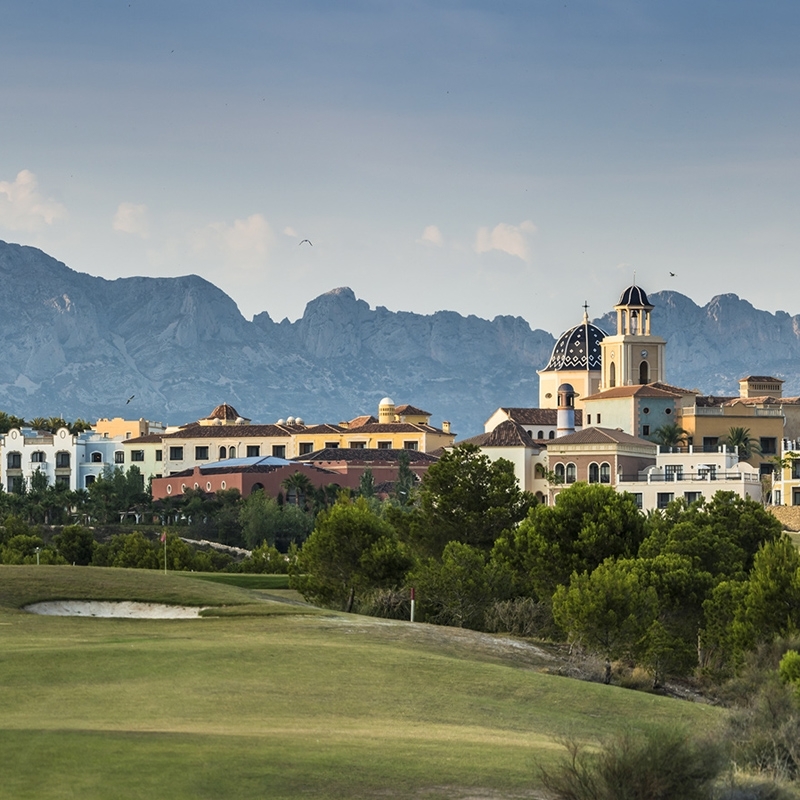 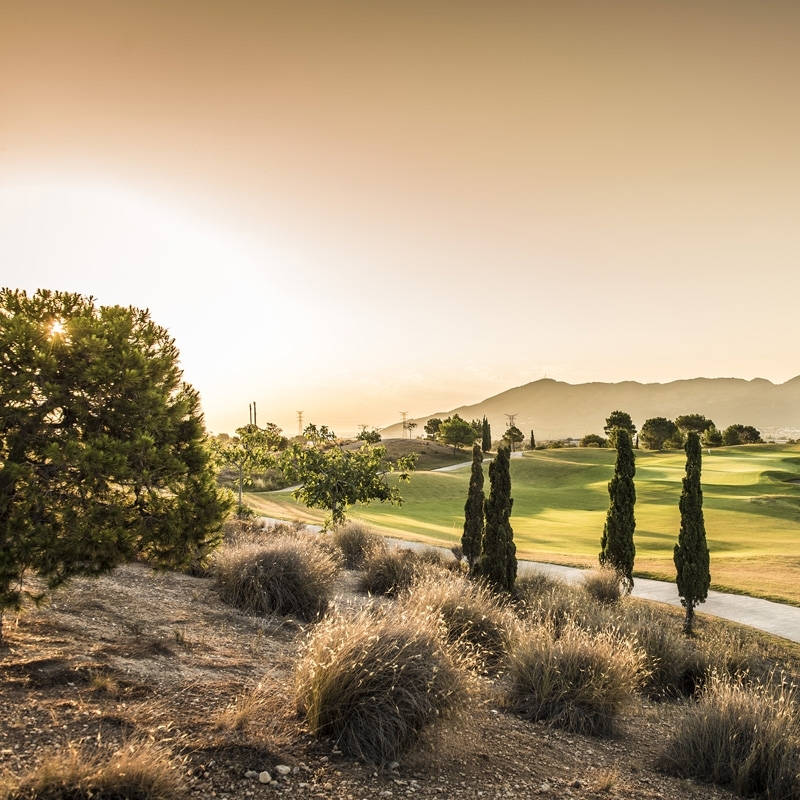 El Plantio Golf blends perfectly into the natural scenery with not a building in sight. 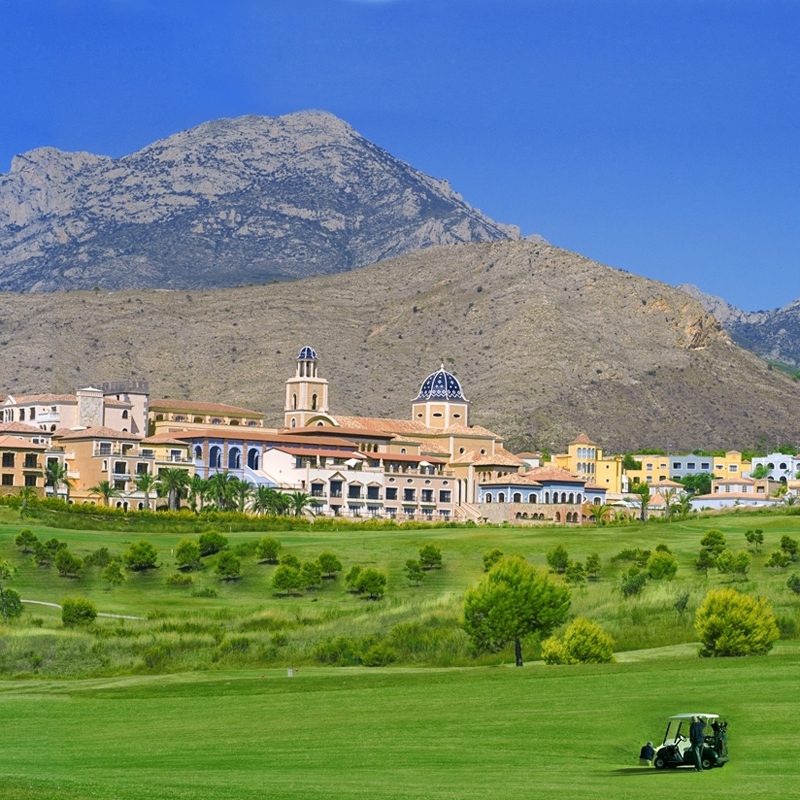 La Marquesa Golf Club is an attractive course, located in a flat valley between the mountains. 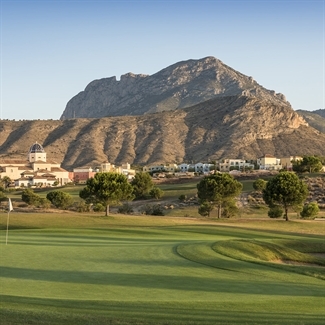 This long course is rated as one of the best that the Costa Blanca has to offer. Group Offer - On Request for 8 or More! 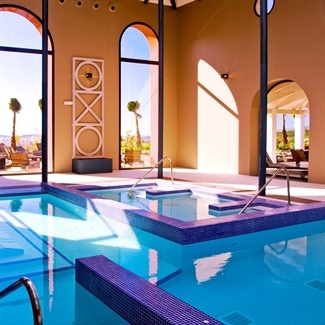 SPA with swimming pools, active and passive water circuit, solarium, relaxation area, treatment rooms.